Deze kaart heb ik gemaakt voor de Techno Stamper schets 124. Het matrozenmeisje is van Magnolia en verder heb ik het frame en vogeltje van Michael Strong gebruikt. De tekst is van Hero Arts. 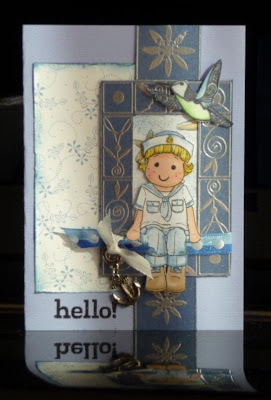 This card is made for the Techno Stamper sketch # 124.The sailor girl is a stamp by Magnolia and I also used Michael Strong's frame and bird stamp. Hello is by Hero Arts. 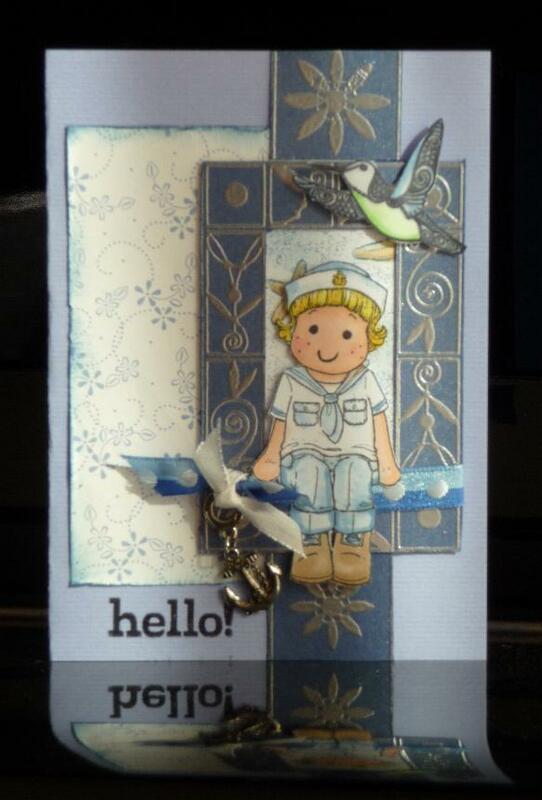 This is so sweet, I love your little hanging anchor! Great job, thanks so much for playing along with my sketch this week! Love your card. Hetty, you are such an inspiration to me! I love the unique twist you put on your projects, and how you share them with us. You inspire me so much, that I have nominated you for the "Kreative Blogger Award." Visit my blog if you'd like to grab the graphic for your blog and share who inspires you and some fun facts about yourself. What a cute little maritime girl! Love all your sea-faring details!